Nothing like working with leather and a powertool to make one feel like a tough mother. 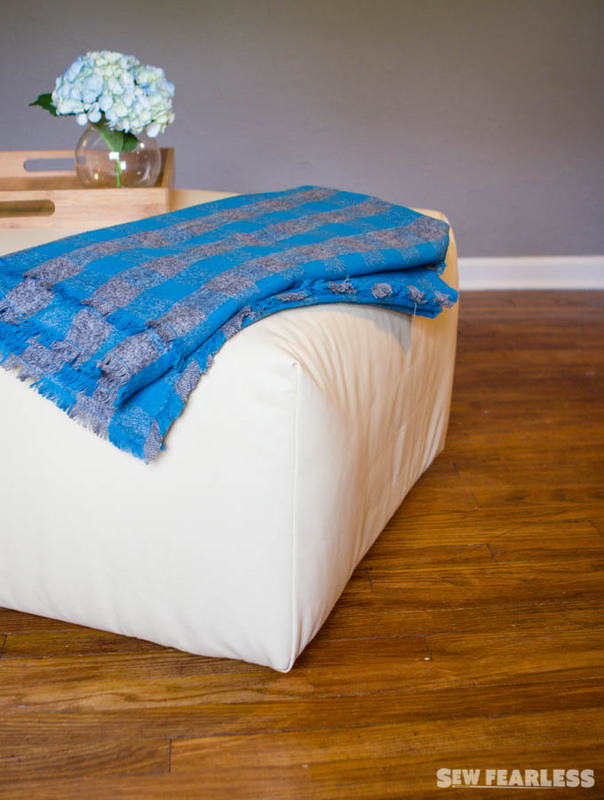 Remember my nursing chair slipcover makeover? That ugly chair had a matching equally ugly and yet equally comfortable ottoman. Covering it with the same wild print seemed a bit… much. Apparently, that ugly brick was just biding it’s time for better things. 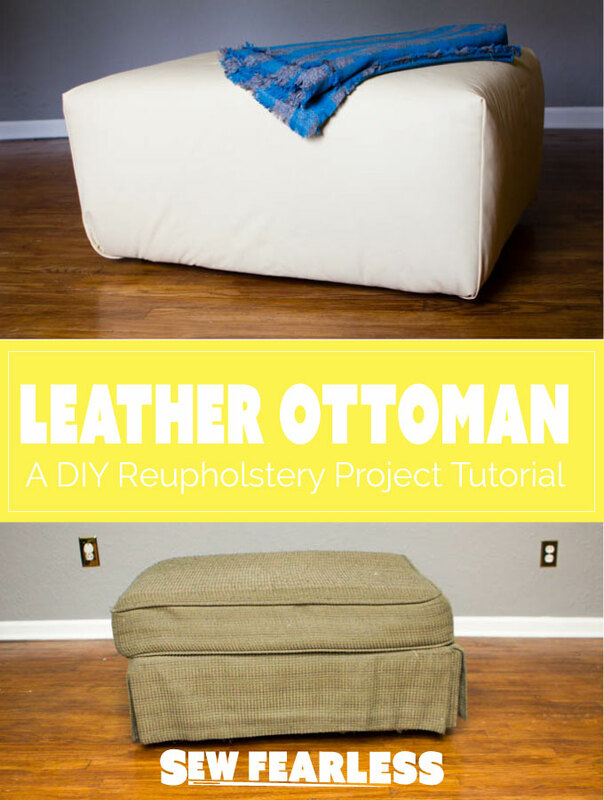 Disclaimer: The upholstery leather for this post was generously provided by the Leather Hide Store, in exchange for featuring a project with their leather. I have worked with them before and also have purchased leather from them for other projects. All opinions are my own. 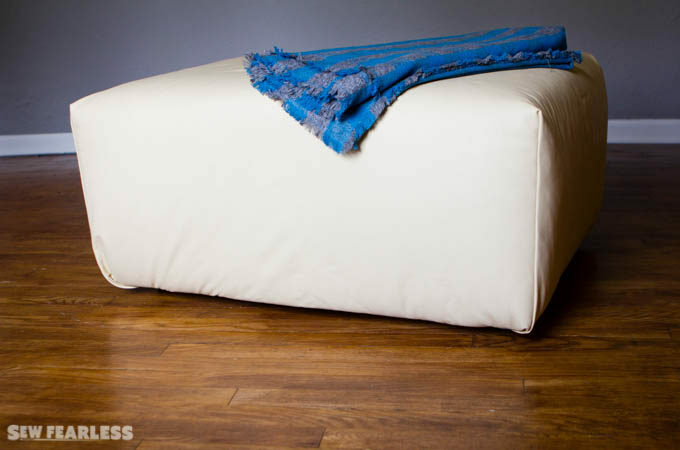 Leather Hide Store is an online shop of upholstery leathers and discount leather remnants. I have used their leathers in the past for purse and bag sewing and have been really happy with them. 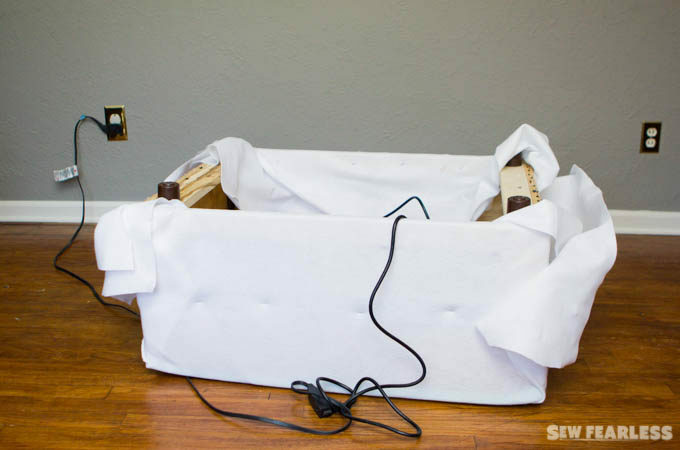 However, their leather is upholstery leather, and while some of their leathers are lightweight enough for sewing projects, their strength really is in providing leather for home decorating and upholstery projects. So, reupholster, I did, with a gorgeous leather hide in shade of “Suntan“. 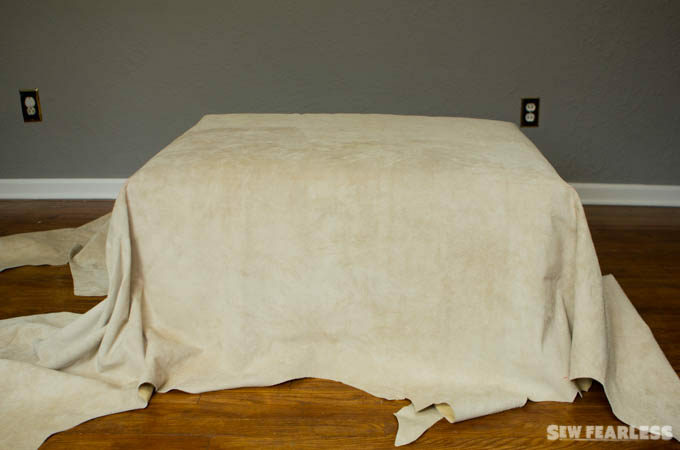 This hide was 2.6 oz which is the absolutely thickest weight of leather my home machine can sew. If you aren’t sure if your machine can handle the thickness of the leather, be sure to ask for a free sample swatch. 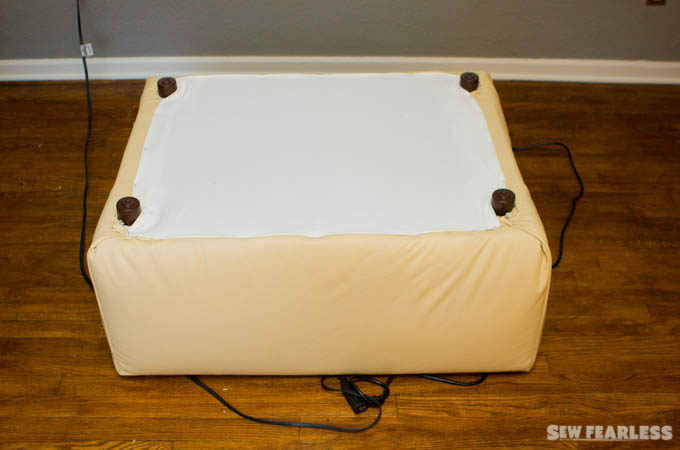 Here is my old and sad-looking ottoman. 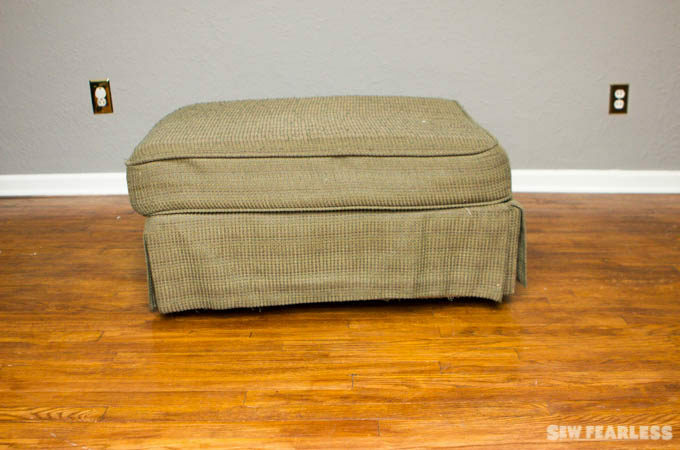 Before we begin, take a moment to measure the ottoman. This one measures 36 inches wide, 25.5 inches deep, and 15 inches high. 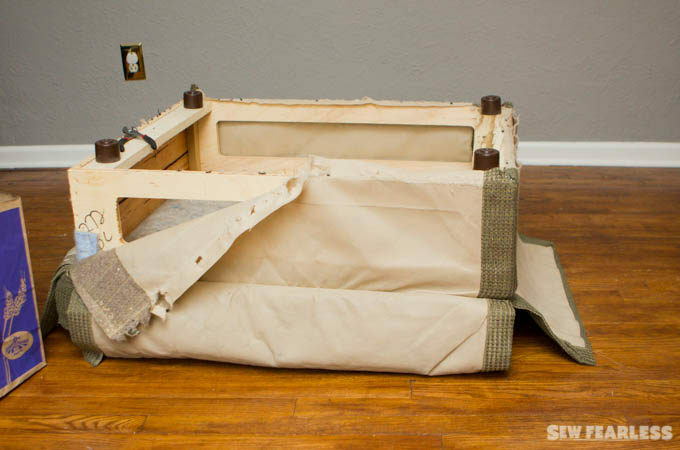 The first step is to remove the old fabric upholstery. Time to bust out the scissors and the needle nose pliers, because there will be no going back after this step! 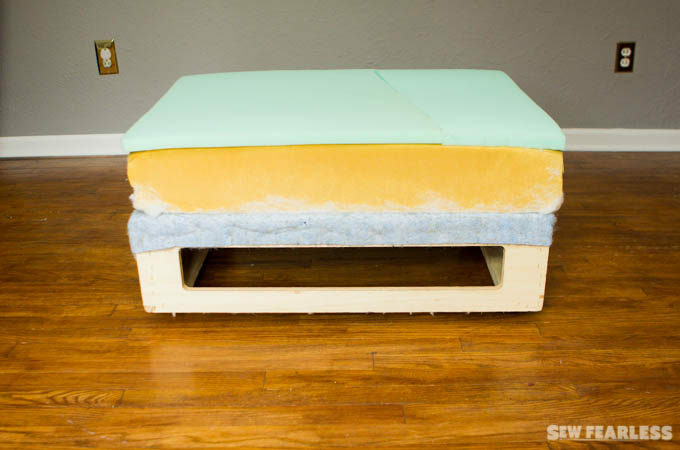 With the fabric removed, there remains a batting-wrapped foam cushion on a wood frame. The batting has seen better days. Let’s take off that too. 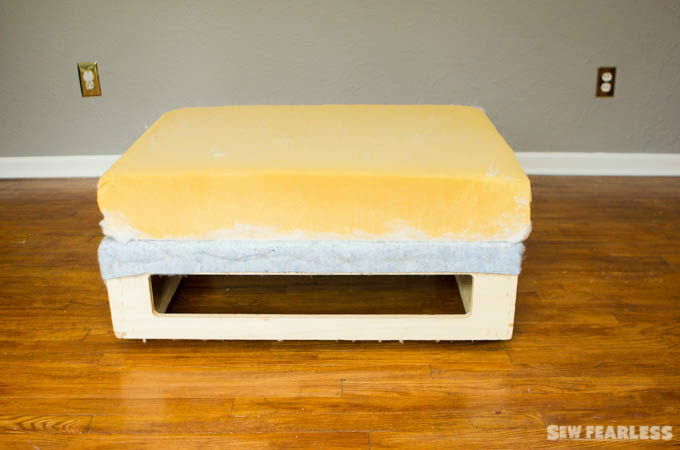 The foam cushion looks a little worn. 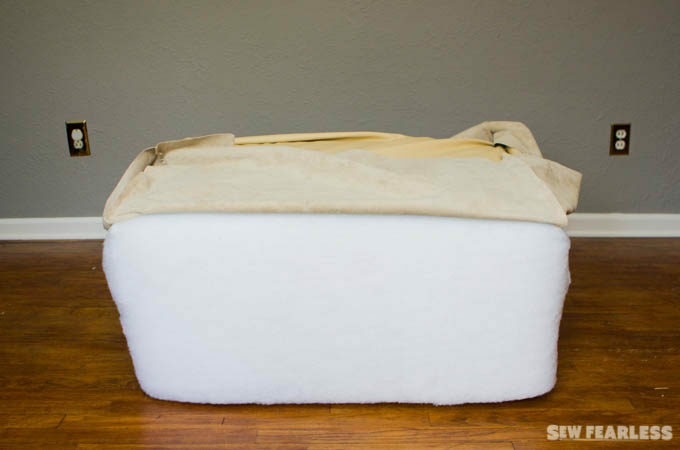 A layer of new perky padding will help give it new life. 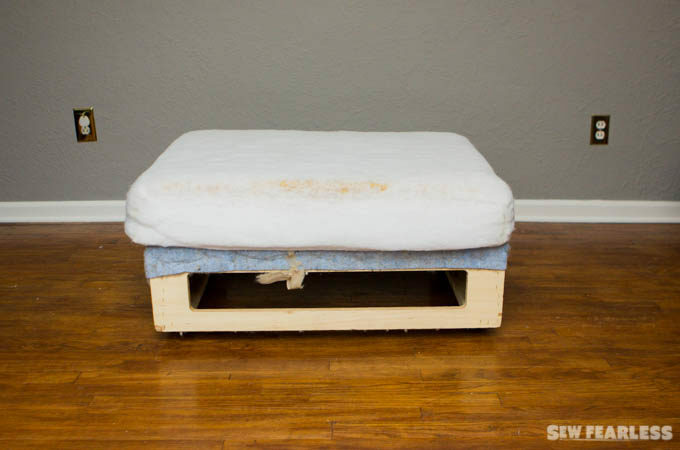 The cushion isn’t attached to anything, and the wood frame needed a little more padding. 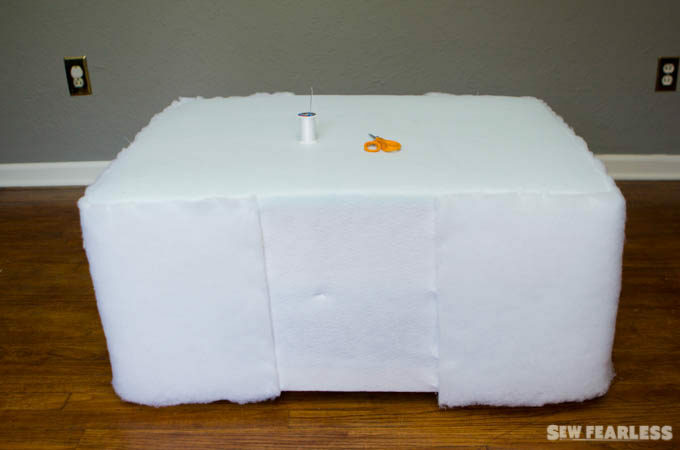 Next, wrap the ottoman in a layer of craft felt. 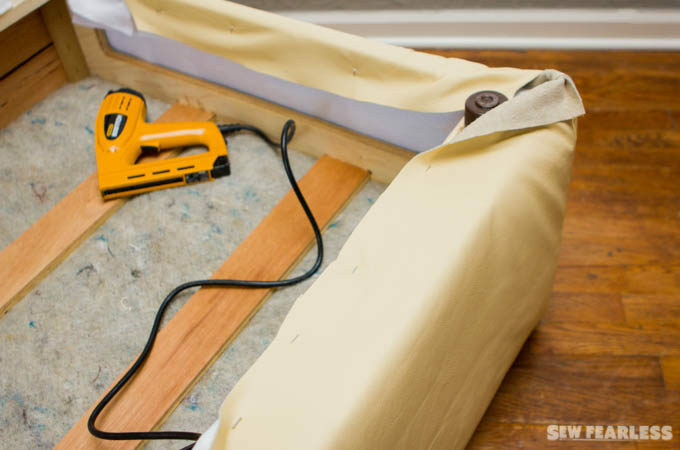 Use a staple gun to attach the felt to wood frame. 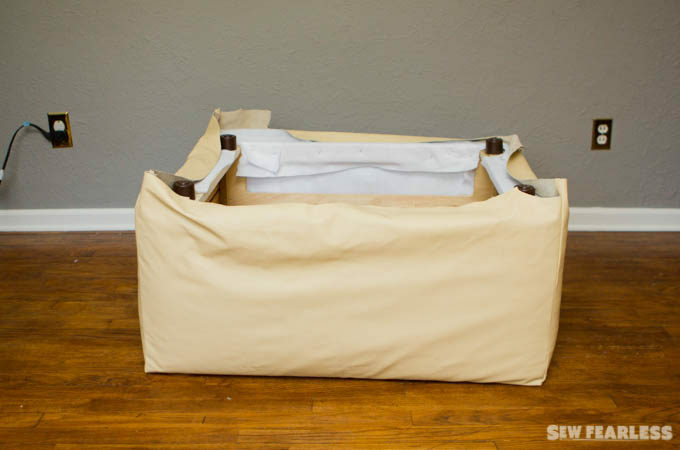 Flip the ottoman over to staple the ends down within the frame. Cut away excess felt around the corners and the ottoman feet. Flip it back over. Now, it looks like we are getting somewhere. 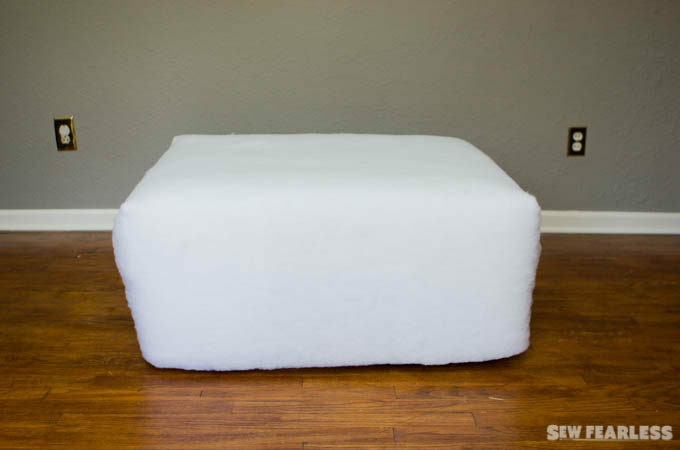 The ottoman looks a little too firm now. Not the luscious cushy foot stool I was going for. 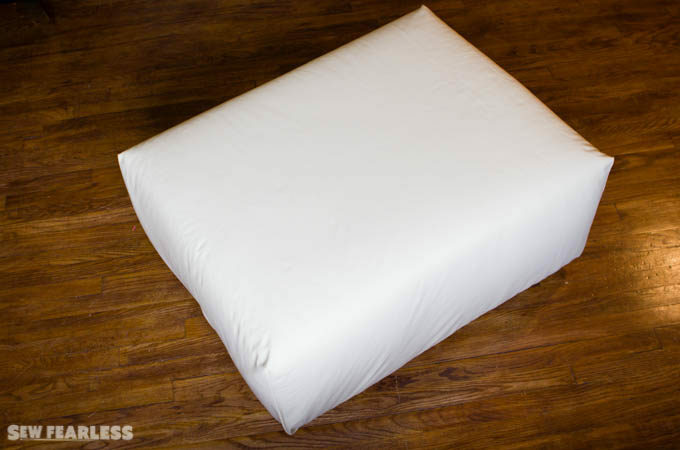 We can up the fluff fact with high-loft batting. I’m sure there is some sort of glue that would work for this step, but I have plenty of thread and a mean whip stitch. Let’s whipstitch the batting on instead. Keeping wrapping and whipping that batting until it is as cushy as desired. 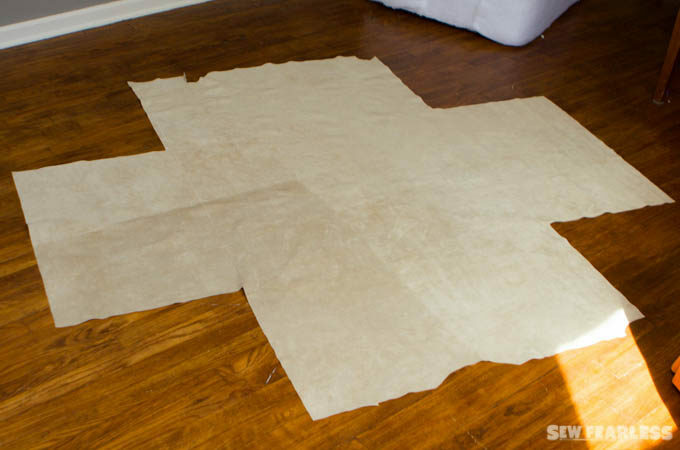 Using the ottoman measurements, mark out the shape of the slipcover using the following diagram. Trace the cut lines on the wrong side of the leather using either a wax tailors chalk, or a FriXion pen. 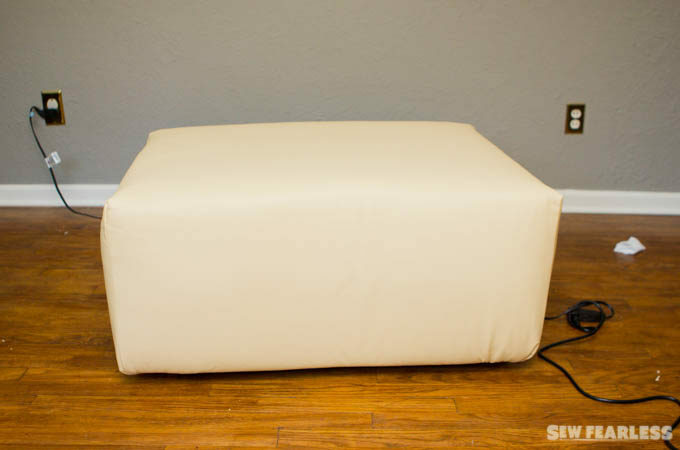 Drape the leather over the ottoman to see if the markings actually fit the shape of the ottoman. Measure twice, cut once, and all that. Here goes the scary step. Cut out the leather with sharp scissors along the markings you made. Looks good. Now comes the sewing step. We will be sewing together the leather along the corner cut outs. Bring edges of the cutouts together right side (shiny smooth side) facing and hold in place with Wonder clips or binder clips. Do NOT use pins on leather. Extra puncture holes on this beauty would be a tragedy. 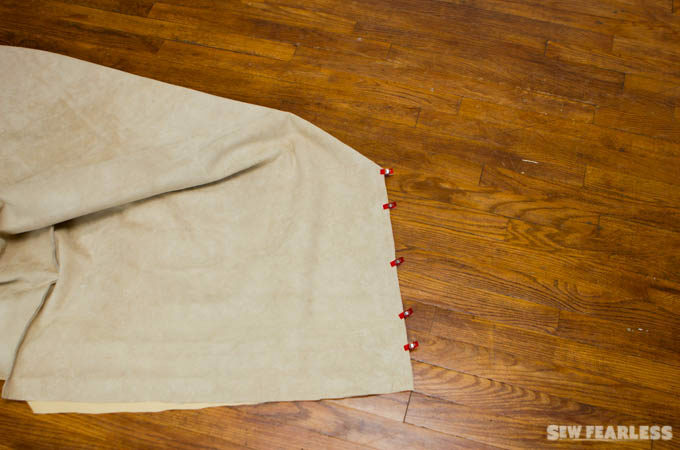 Sew the four corner seams. 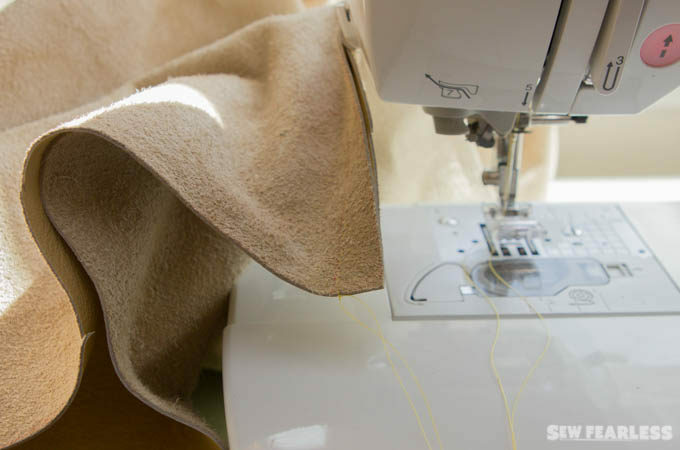 To sew the leather, use a Leather – type needle and all-purpose polyester thread. 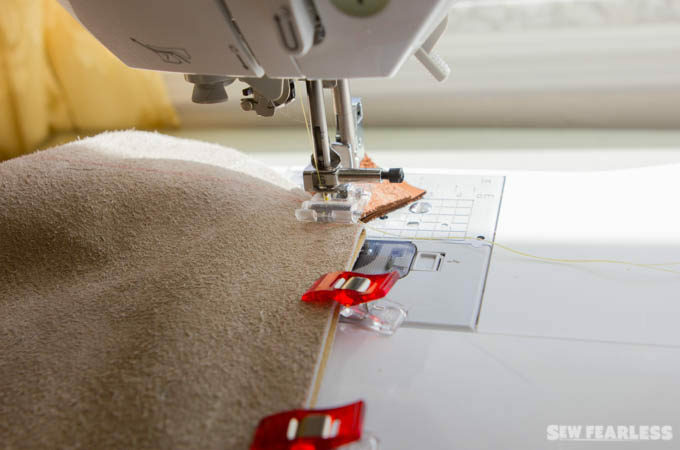 Set the machine to a long stitch (3.5 – 4.0) and install a rolling foot or walking foot if you have one. Placing a scrap of folded fabric or leather under the back of the presser foot to help the seam get started. Do not backstitch. 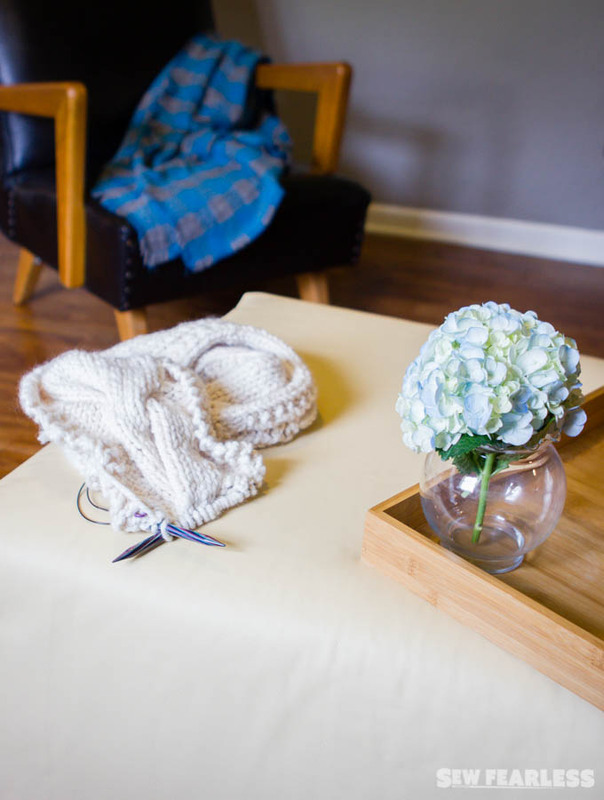 Instead leave long thread tails at the beginning and end and tie them off by hand to secure. That wasn’t too bad. 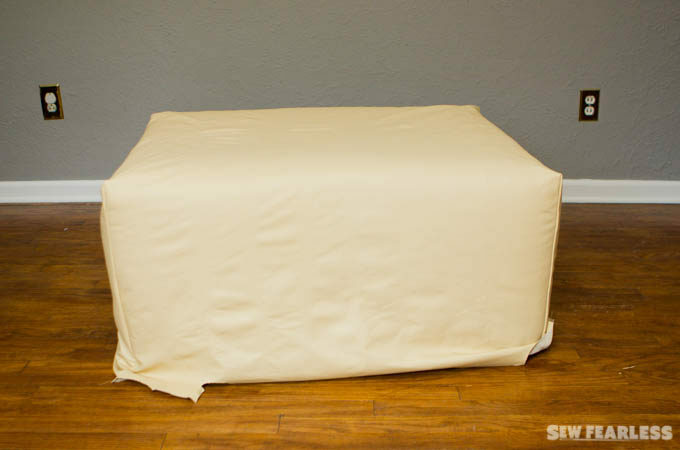 Time to get the slipcover onto the ottoman. Now, it’s starting to look really great! Except that it still needs to be attached underneath. 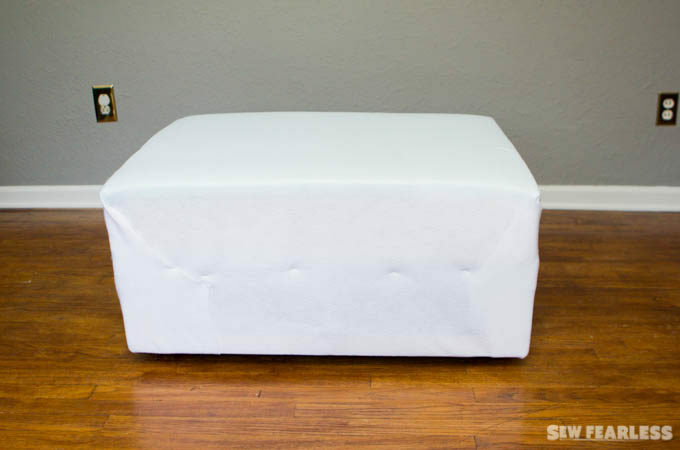 Flip the ottoman over. 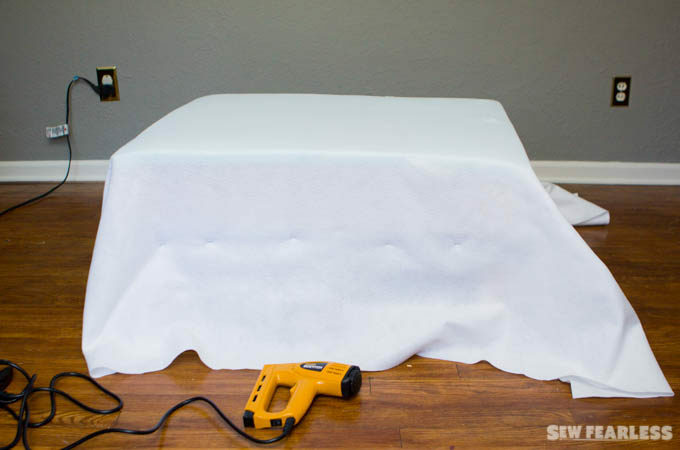 Staple the leather slipcover to the bottom of the wooden base. First one side, and then the opposite side. Lots of gentle stretching and lots of staples. 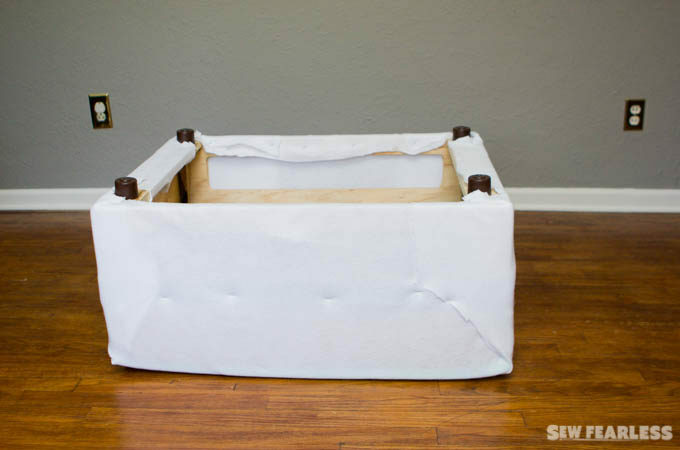 Fold the corners under and around and trim them down to reduce the bulk. Staple some scrap fabric over the bottom opening to make it look extra posh. 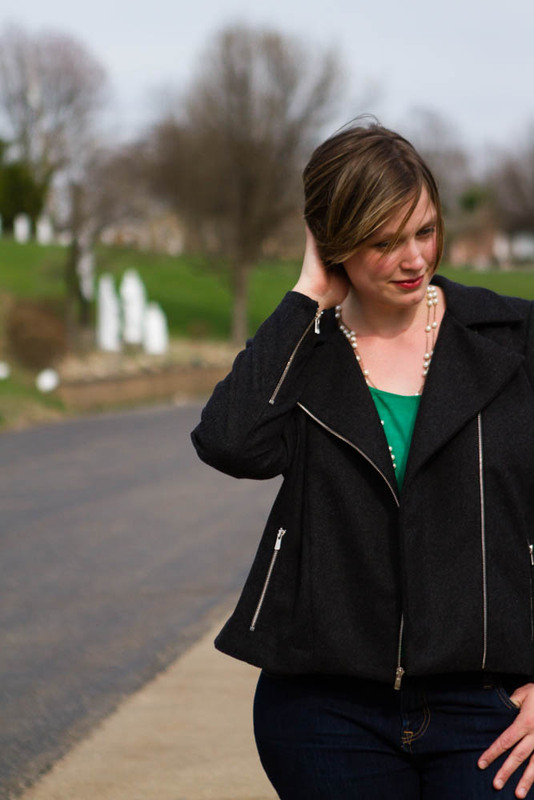 Leather has such a way of elevating even the simplest projects doesn’t it? 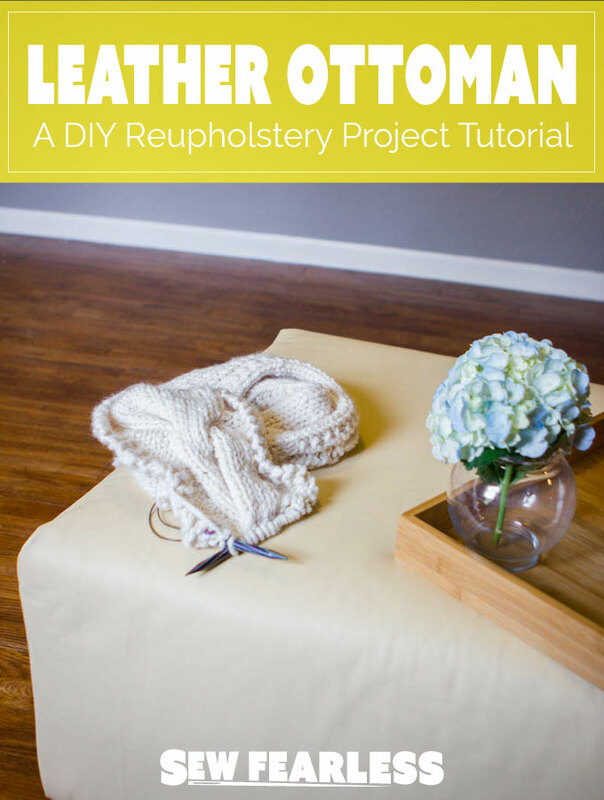 If you want to learn more about working with leather, click here to check out my other leather posts and tutorials. Very posh. Can’t wait to see it in person. Have you changed a diaper on it yet? Haha. Great job! There was a strict “DON’T YOU DARE TOUCH THE OTTOMAN UNTIL I TAKE PHOTOS” policy for the last week. 😛 Now that the ban has been lifted who knows how this ottoman will be used. ha! Thank you for the opportunity, Angela!